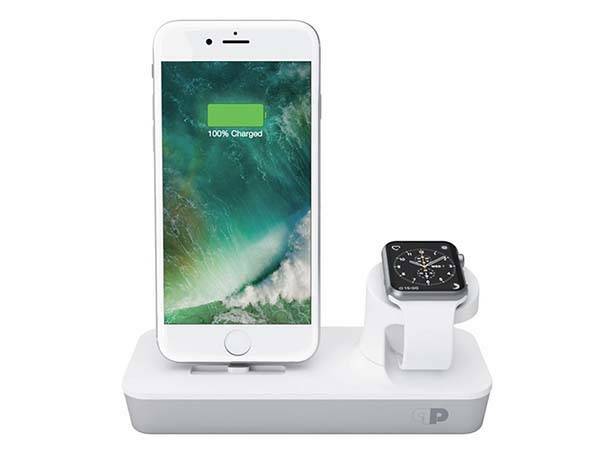 One Dock Dual MFi charging station are designed to charge your iPhone and Apple Watch, and the magnetic charger has been integrated into the dock. Like the design? Let’s continue checking. 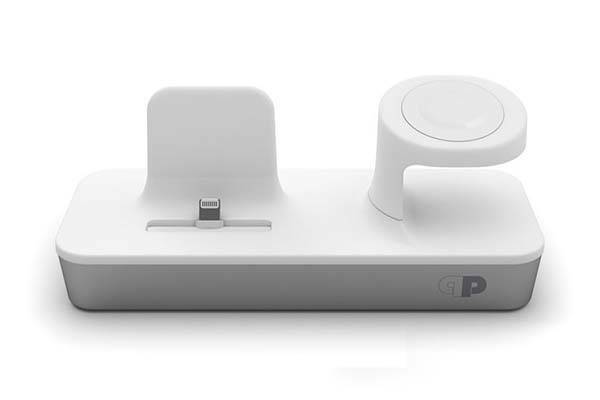 The One Dock Dual is a beautifully designed and practical MFi charging station that works with Lightning equipped iPhone models and all models from three Apple Watch series. The docking station measures 6.8 inches long and weighs 1.1 lbs. As shown in the images, it shows off a compact and minimal appearance design, and the discreet color scheme delivers low-profile elegance that allows it to decently stay on your desk, nightstand or any surface in your room. The MFi charging station is made of high-grade aluminum for a durable construction, and its soft finish prevents your devices from getting scratched. Furthermore, the seamlessly integrated support keeps your iPhone upright in a suitable angle for comfortable viewing during charging, and the adjustable Lightning connector allows it to work with iPhone with a protective case. The integrated magnetic charger charges your Apple Watch without having to use that overlong magnetic Apple Watch cable. 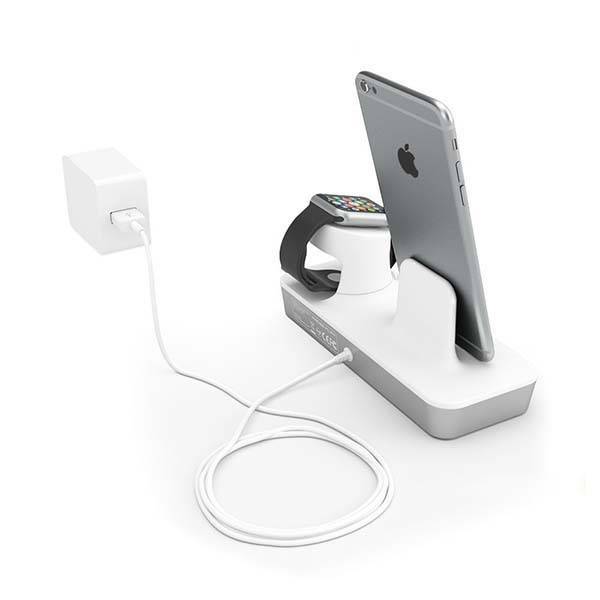 Moreover, the rubberized firmly keeps the aluminum charging station on any flat surface, and its smart-IQ adapter optimizes power flow for a safe and efficient charging. The One Dock Dual MFi charging station is priced at $52.99 USD. If you’re interested, jump to Amazon for its more details.